Exercise | Accelerate Physical Therapy, P.C. Shoulder Impingement is mechanical compression, which can cause wear of the rotator cuff tendons. The rotator cuff is comprised of four muscles connecting the shoulder blade to the upper part of the shoulder joint. These maintain the ball (humeral head) within the socket (glenoid) during shoulder elevation. Normally, the ball glides under the acromion (outer tip of the shoulder blade). Compromise of this function may cause friction and wear. Common causes include weakening, degeneration due to aging, bone spurs, inflammation, and overuse injuries. Patients may complain of pain in overhead activity and awakening in the night. Manipulation may reproduce the symptoms. X-rays may show bone spurs and narrowing of the subacromial space. MRI may rule out more serious diagnoses. Temporarily eliminate activities like tennis, pitching or swimming. A non-steroidal anti-inflammatory medication may be recommended. Surgery involves debriding tissue that irritates the rotator cuff and is favorable in about 90% of the cases. Exercise to restore normal flexibility and strength of the shoulder blade and rotator cuff muscles. Try exercises in these videos to strengthen the rotator cuff muscle and scapular muscles, and control the incidence of shoulder impingement. Knee pain can be a resolved with exercise. 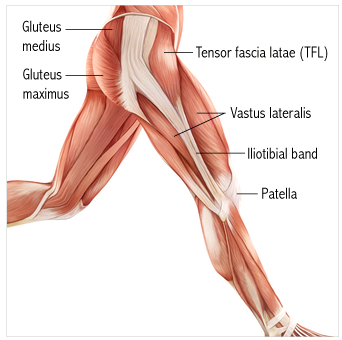 Learn to command important patella stabilizing muscles. Begin with the technique demonstrated on the following video links . These simple exercises performed daily offer you more than you might think. When you can tolerate pressure through the patellar tendon, move on to this exercise in order to recruit more muscle fibers. Contact with the ground through the toe placement teaches important “proprioceptors”. 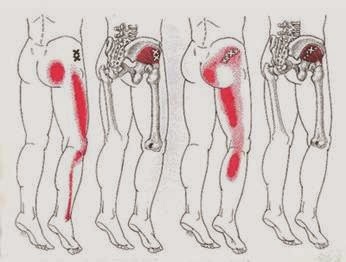 Transition to normal balance and gait depends upon your active stimulation of these muscles and tendons. Cardiovascular changes including elevated heart rate, decreased cardiac output, orthostatic and autonomic dysfunction, venous stasis and thrombosis. Respiratory changes include reduced lung capacity. Musculoskeletal problems of reduced strength, endurance, lactose tolerance, risks of contractures and heterotrophic ossification of individuals with CNS or spinal damage. Metabolic risks including negative nitrogen or calcium imbalances, carbohydrate intolerance and insulin resistance. Urinary stasis, incontinence and stones. Gastrointestinal effects include decreased appetite, reduced peristalsis/constipation, malnutrition and hypoprteinemia. Integument systems risks of pressure ulcers (hygiene, shear, edema, reduced capillary flow to the compressed area). Nervous system changes such as sensory deprivation, anxiety and depression.